Bishkek is the capital of Kyrgyzstan and is located at an altitude of 700 to 900 m above sea level in the Chui Valley on the northern edge of the Kyrgyz mountains Alatau which belongs to the Tian Shan Mountains. 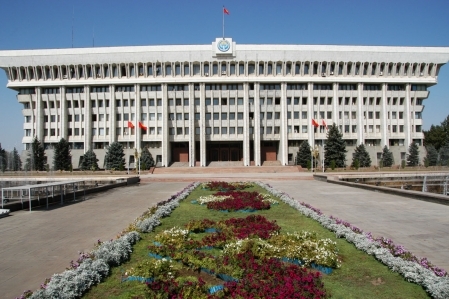 Bishkek is one of the largest cities in Central Asia and the largest city of Kyrgyzstan with more than 915,630 inhabitants. Languages are Kyrgyz and Russian. 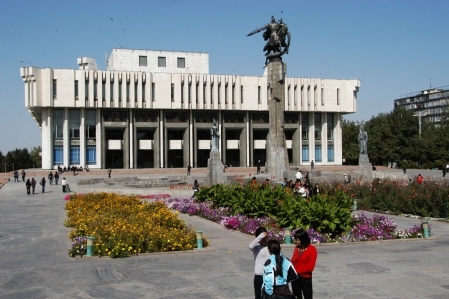 You can see here a whole series of architectural features in a typical Soviet style (concert hall philharmonic, government building, museum of history, victory place), as well as modern monuments, which show the traditional Kyrgyz culture (manas monument, monument of independence etc.). 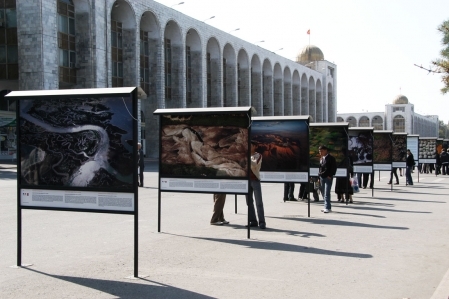 Bishkek is famous for its parks and avenues and is one of the greenest cities of Central Asia. These make the city a place where it is pleasant even in the summer heat.